50 / NEW YORK NEW YORK! Landed at 8pm last night, straiught out to dinner with Stormie Mills and then up early to paint this big wall in Queens. Met Sweet Toof there, Roa, Lady Pink and the legendary John Fekner who then gave us a lift back into the city, what a superstar! 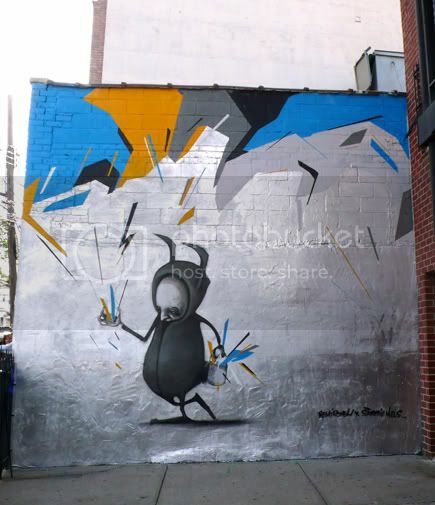 Stormie and Remi/Rough in Queens NYC.